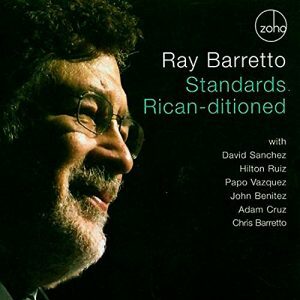 This album Standards Rican-ditioned by Ray Barretto has a very special – albeit tragic – place in the history and in the everlasting library of Latin-Jazz. Not only was it the last album ever recorded by the legendary conguero, who died a month after it was recorded but it was also the last album ever on which the great Hilton Ruiz was heard. He too died mysteriously; many believe was murdered shortly after the songs were recorded. In fact we also know that even as Mr Barretto was recorded scatting on the final track, “Strange Music” that very chart remained incomplete and even as Mr Barretto was felled by cardiac arrest his son Chris, who played alto saxophone on two charts here, left his father’s side at the hospital to overdub the conga part on that last chart “Strange Music”, which will for that reason always live in the memory. Listening to this rather special recording again more than a decade after it was made one has a sense of the vitality of the music both in terms of the visceral growling exchanges between trombonist Papo Vásquez with his plunger mute on “Baby, Baby All the Time” together with the rolling tenor saxophone of David Sánchez on that chart as well as on “Suddenly it’s Spring” which both men attack with blistering zeal. Exchanges such as these run rampant throughout the music which may be best enjoyed for the elegance of Mr Ruiz and the masterful slap and thrust of Mr Barretto throughout the programme as he extracted the melodic tones from the enormous colour palette that he employed on his instrument. Throughout Mr Barretto shows why he was the keeper of the flame that had been lit long ago by the great rumberos of Afro-Caribbean music from whom he seems to have descended, albeit being a lifelong New Yorker of Puerto Rican ancestry. It is this ancestral and cultural collision that drew him into the American Songbook where he exercised his natural eloquent flair to re-imagine the almost sacred standards – as he called it here – Standards Rican-ditioned. There is also a perfectly polished gem played in solitary splendour by Mr Ruiz; “Something to Live For” is that song, which in the context of how life turned out for the brilliant pianist soon after this recording, comes with an eerily beautiful and ironic portentous air. Chris Barretto certainly proves that he has the where with all to keep the flame lit by his father burning strong albeit mostly on alto saxophone, which he plays with the kind of passion that made the older Barretto one of the most emotive and evocative players. Likewise, it may be said (in this instance) that the proverbial “son also rises” especially on “Strange Music” where he wears the heavy mantle of his father with spirited lightness of being despite the emotionally draining circumstances in which that chart was completed. Meanwhile John Benitez on contrabass and Adam Cruz on drumset both serve notice as to why they are among the most formidable performers on their respective instruments. 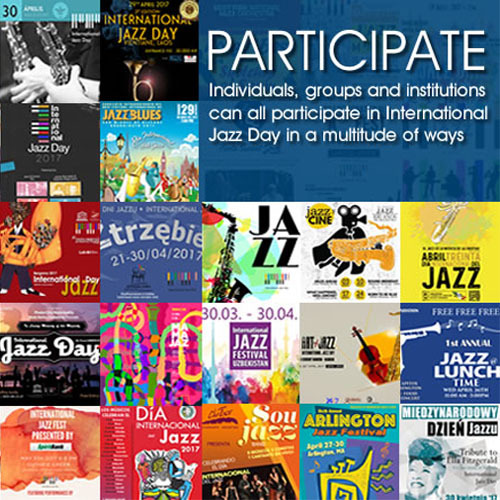 This magical album is beyond precious as a Latin-Jazz collector’s item.